The first airtime for ‘Culinary Journeys: Virgilio Martinez’ in Hong Kong, Beijing, Kuala Lumpur, Manila, Singapore and Taipei is on Friday October 9 at 2330 HKT. Additional air times listed at the bottom of the article. Once a keen skateboarder, Martinez now performs tricks of the culinary kind. The chef has made a name for himself applying modern cooking techniques to indigenous Peruvian ingredients at his restaurant Central, which pays homage to the country’s diverse landscape and biodiversity. Recognition of Martinez’s innovative approach to cuisine came this year when Central was named the best restaurant in Latin America at the prestigious World’s 50 Best restaurant awards. 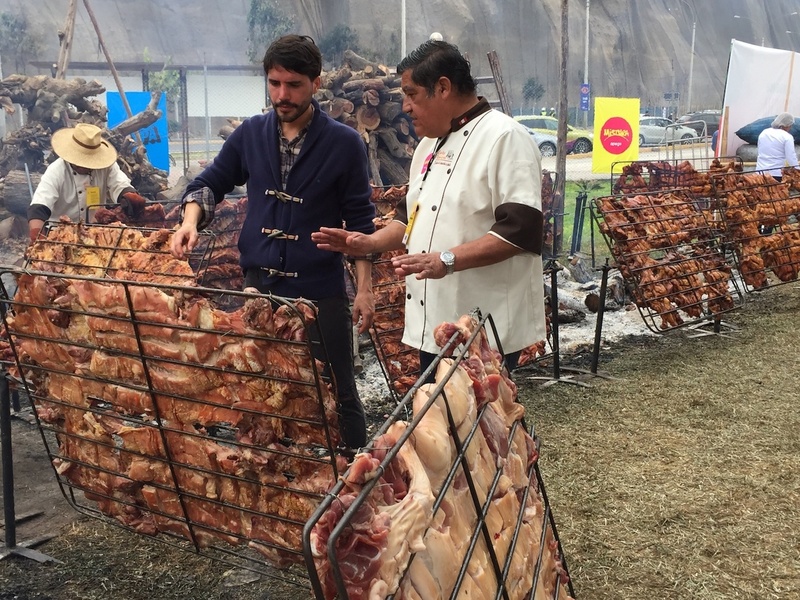 Martinez often takes research trips to remote areas of Peru bringing back new ingredients and techniques to his kitchen but he is still hungry for more. On this month’s programme, Martinez embarks on a Culinary Journey 3500 meters above sea level to a small community in Acomayo. There in the Andes, he learns how to construct the perfect huatia – a small clay oven used by the Incas to cook potatoes and other tubers. ‘Culinary Journeys’ is a series of monthly half-hour shows on CNN International, which feature world-renowned chefs on a journey to explore the cuisine of one of the world’s food hotspots. In each episode, the cookery travelogue sees a chef leave the bustle of their own kitchen to discover a culinary experience in another country. What should the audience look out for on your show at CNN Culinary Journeys? I hope they can see how it’s just one part of the Peru we know; how we really look, and want to share our roots, traditions. I want to share also how little we know, how small we are; there is a lot to learn and contemplate and make it part of the way we deserve to live, calmer in harmony with the environment. They look for new cultures and their authentic stories as well it's just not food and gastronomy. Of course I guess they want to know what is whole for me; what's is my restaurant giving as an experience, how we are, and why we really think we are doing amazing changes in our lives with the decisions we do regarding food. 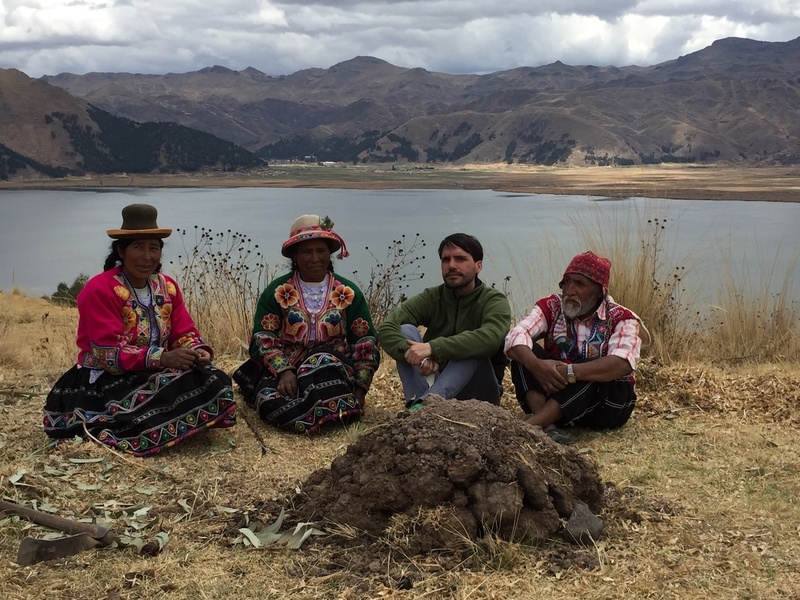 *the Mater Initiative comprises an interdisciplinary group of geographers, historians, anthropologists, ecologists, chefs, and others who make about three trips a month to various regions of Peru for tours with local producers. Peruvian food has suddenly entered the food scene and becoming very popular. What do you think is the cause behind it? People think it’s about the melting pot of fusions that happen for years, Japanese, Incas, Chinese, Spanish, Italians that value our territory, or iconoclastic dishes like ceviche and tiraditos, or the superfoods that are travelling the world. The incredible amount is pieces to rediscover, potatoes quinoas corns. There is a vast territory unknown for gastronomic process, creativity comes from everywhere, as well innovation, we are in times where every single seed we check becomes a very deep innovative concept. Boy there is a lot more I see it more in the spiritual way, the adoration of the soul the Pachamama; the respect for the planet. The way you can be cured or not getting sick just by the way you interact with nature. This is difficult to understand or do a marketing of it; you have to experience. Tell us a little bit about your journey from skateboarder to chef. What do you bring to the kitchen from your past passion? It’s sometimes the same thing! You do not stop. It is your passion. You work or skate in a group or as a team leader alone. You are in constant movement. It is mental, you conceptualise your tricks, as you do with your dishes or experience. It is very physical. We do performance. But what is most interesting is that you keep your curiosity as a child. You got to be a bit crazy too - imagine jumping a ramp 6 meters, the same when you take enormous risks in every single decision. Do not forget we feed people, we have tremendous risks of. Something risky we do go wrong. I broke many bones as a skater. I think the same way I broke many things in these 18 years of cooking. What would you like the world to know about Peruvian food? Why should they explore this cuisine? Why is it so special? The relationship with nature in every single gesture. It is special because the way we are close to nature like not many cultures, there is something magic happening when you see indigenous Peruvians cooking and adoring the soil that gives us the best products we can get. It is a gastronomy of innocence, good will, not pretentious. What are your top 3 to 5 ingredients in your kitchen - ones you cannot do without! What are your favourite Peruvian dishes and why? How does it taste or what are the key ingredients? Ceviche. Tastes like sea. I love Leche de Tigre. Tiraditos, delicacy on fish. It is a gesture of technique that the Japanese inspired. Pachamanca, Taste like soil, you cook underground. Tubers, roots, meat, herbs. It is actually magic. Solterito de quinoa, taste like the Andes, freshest ingredients from the highlands. For several years now, Peruvian cuisine has gained new momentum on the global gastronomic scene. How do you explain this phenomenon? It is part of our Incas legacy. The amount of micro climates and biodiversity that deliver amazing products stories and relation with people and nature. The authenticity of natural cuisine; the fusion that happens for years…menus, nationalities came to Peru and they mixed with our own as legacy and biodiversity. Peruvian food has been always there; it’s just now the time when people are looking for health, more meaning, and we have that to offer and always share. How would you describe Peruvian cuisine? Natural authentic diverse, traditional and futuristic. You worked in different cities around the world: New York, London, Madrid… Does Lima represent the emergence of a new gastronomic offering? Of course one more, just very different. Lima has been there for years, but now the time is right.